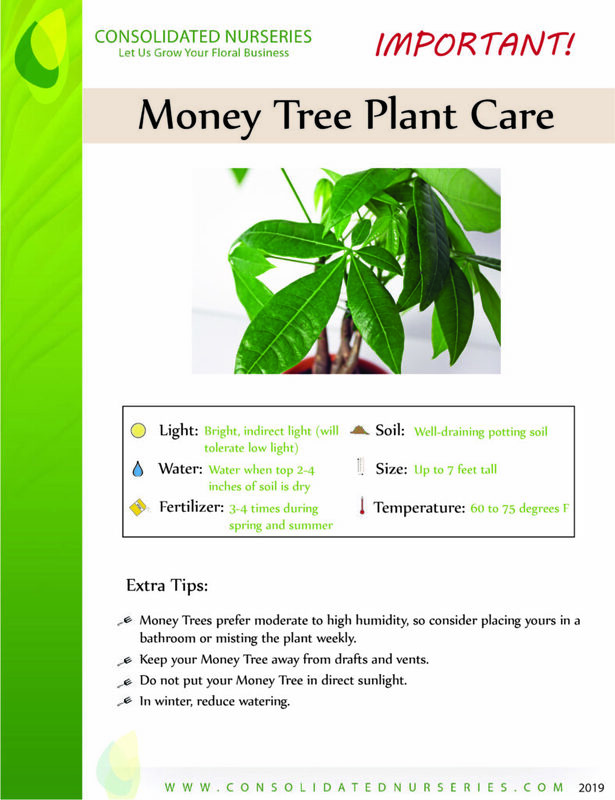 Money Trees are said to promote great wealth and positive energy. 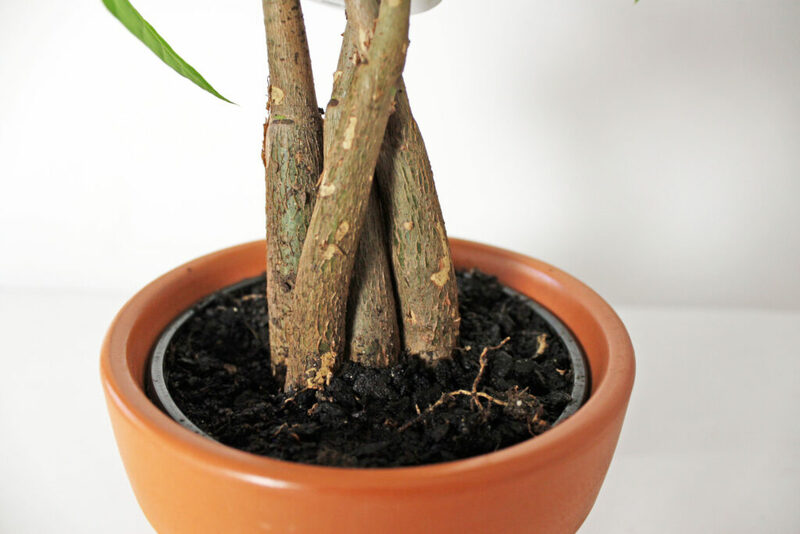 They are low-light tolerant, prefer humidity, and like to dry out between waterings. 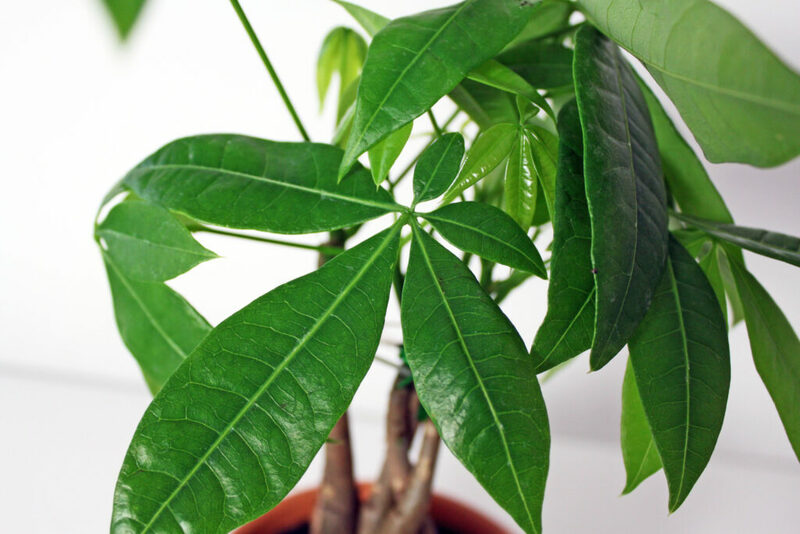 A Money Tree is actually a few trees braided together to appear as one.